I hope you're all enjoying the holiday season/break as much as we are. We've been in a completely relaxed and slow mode after Christmas—so nice! I wanted to quickly pop in to say that I am having a sale on all my holiday items. 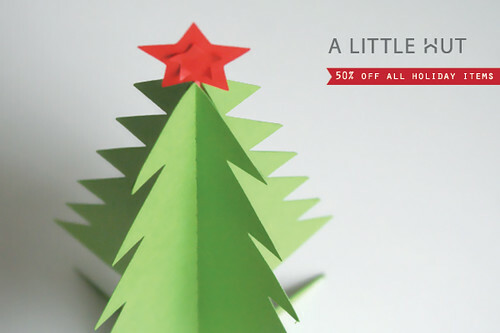 The Holiday Paper Quilt, Holiday Kit, Ornaments and Holiday Boxes are all 50% off. Enjoy!